Britax recalled 213,000 car seats because they might not actually secure a child. 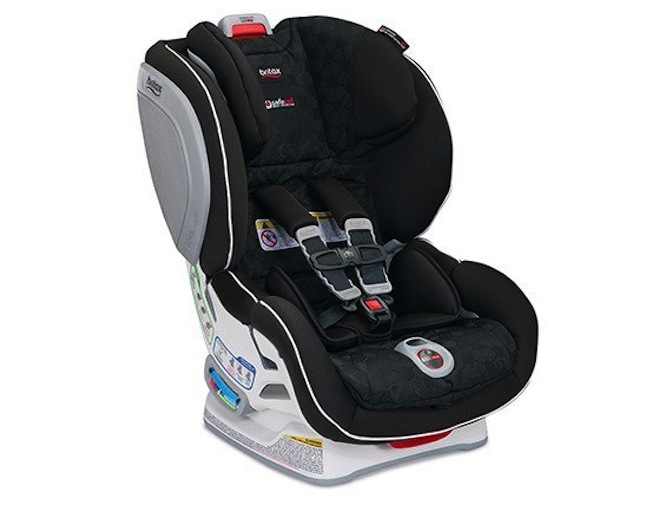 Britax Child Safety Inc. initiated a recall this week of more than 213,000 car seats after finding buttons on the safety devices could fail, leaving a child essentially unsecured. The recall covers thousands of Britax ClickTight, Boulevard ChickTight and Marathon ClickTight car seats that have a red harness adjuster button that may stick in the release position. If the button fails, the shoulder harness can loosen from a child’s movements while secured in the seat. As a result, the harness may not adequately protect the child in the event of a crash. Britax says that an inventory of the seats found a small percentage of the harness adjuster buttons were manufactured out of tolerance. Under certain conditions, the button could remain in the open position after being used to adjust the harness. According to a notice [PDF] filed with the National Highway Traffic Safety Administration, Britax became aware of the issue through a consumer’s Facebook post in late July. The company subsequently found four complaints on the NHTSA database related to loose harnesses and the ClickTight models. Britax says that in all, it has received approximately 18 consumer complaints since production began in August 2014 related to loose harnesses on ClickTight convertibles. However, the company did not receive return products for inspection –to determine if food or other debris caused the condition– nor was Britax able to replicate the complaints with existing inventory. The company says that in order to fix the issue, it will provide all registered users a free remedy kit that includes a non-toxic food grade lubricant to apply directly to the harness adjuster button.